Wait…you’re saying it’s almost 2019? ALREADY? Well, then it’s time to take a stroll down Bookish Memory Lane and make sure you haven’t missed out on any of the amazing titles 2018 gave us! A single-subject anthology about the heart’s most powerful emotion, edited by Rookie creator, Tavi Gevinson. 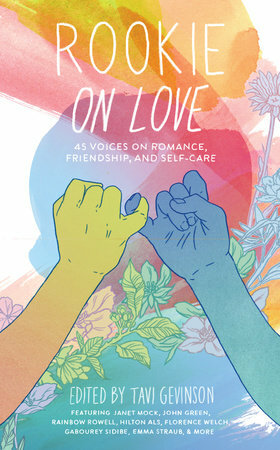 Featuring exclusive essays from John Green, Rainbow Rowell, Alessia Cara, Jenny Zhang, and more, this collection explores all types of love–between lovers, friends, sisters, and more. The United States of America is almost 250 years old, but American women won the right to vote less than a hundred years ago. The story of women’s suffrage is epic, frustrating, and as complex as the women who fought for it. Illustrated with portraits, period cartoons, and other images, Roses and Radicals celebrates this captivating yet overlooked piece of American history and the women who made it happen. Narrated by Destiny, this heartbreaking story of refugees escaping from war-torn Syria captures the hope that spurs people forward against all odds. Award-winning author and journalist–and a refugee herself–Atia Abawi captures the hope that spurs people forward against all odds and the love that makes that hope grow. The first novel in this unique fantasy series follows a talented necromancer who must face down a deadly nemesis who has learned how to turn her magic into a weapon. 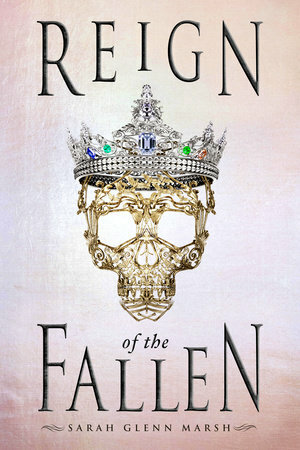 Perfect for fans of Three Dark Crowns and Red Queen, Reign of the Fallen is a gutsy, unpredictable read with a surprising and breathtaking LGBT romance at its core. The finale of the epic Falling Kingdoms series by Morgan Rhodes is finally here. Magnus and Cleo‘s love will be put to the ultimate test–is it strong enough to withstand the outside forces tearing them apart? 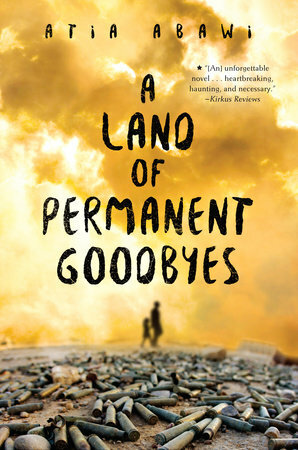 This debut novel is about a teenage boy who can’t quite figure out what he wants to do with his life and who runs away from home while his parents are on a summer trip to Iran. He also may or may not encounter (and complete) a few crossword puzzles along the way! In the hours after a bridge collapse rocks their city, a group of teenagers meet in the waiting room of a hospital in a story that will make your heart stop and time stand still. Featuring art and writing from her favorite photographers, poets, and friends alongside her own journal entries and snapshots, this is the beloved personal scrapbook of rising star and humanitarian Rowan Blanchard! A thought-provoking companion to the Coretta Scott King Award-winning Bronx Masquerade that shows the capacity poetry has to express ideas and feelings and connect us with ourselves and others. War tears the galaxy apart, power tests the limits of family, and violence gives way to freedom in the sequel to Empress of a Thousand Skies! A sharp psychological thriller for fans of One of Us is Lying and Pretty Little Liars that will seduce, mislead, and betray you. You won’t be able to stop talking about this debut. A powerhouse collection of essays and personal stories that speak directly to teens and all YA readers. Featuring Angie Thomas, Marie Lu, James Dashner, Nicola Yoon, David Levithan, Libba Bray, Jason Reynolds, Renée Ahdieh, and many more! Rebel of the Sands fans, rejoice! The breathless finale to the series will have you on the edge of your seat until the dust from the final battle clears. The sequel to the instant bestseller Nemesis! Genesis dives back into a violent world where Min Wilder knows that survival alone isn’t enough. Joy McCullough’s bold novel in verse is a portrait of an artist as a young woman, filled with the soaring highs of creative inspiration and the devastating setbacks of a system built to break her. From the best-selling and award-winning author of The Devil’s Arithmetic, Jane Yolen, comes her first Holocaust novel in nearly thirty years. The story follows twins as they travel from the Lodz ghetto, to the partisans in the forest, to a horrific concentration camp where they lose everything but each other. 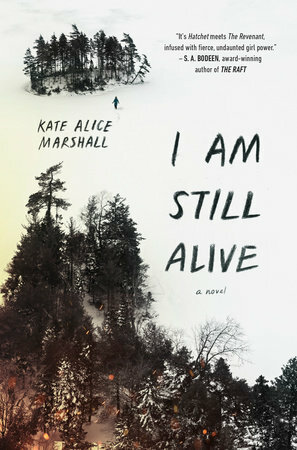 A dark, riveting contemporary novel that follows sixteen-year-old Audrey as she navigates a tumultuous and all-consuming relationship, while reckoning with her family’s evacuation from the path of a deadly wildfire. All-consuming fame and fortune prove too much for a teen popstar who suddenly goes missing. Her name is Sarah. She’s blonde, blue-eyed, and Jewish in 1939 Germany. And her act of resistance is about to change the world. This is a debut you do not want to miss. If I Stay and Just One Day author Gayle Forman is back with a powerful display of empathy and friendship told over the course of a single day from three different perspectives. An interactive journal/quote book mash-up, featuring quotes from the most famous works of Regency novelist Jane Austen, and accompanied by whimsical artwork. A status-obsessed senior unexpectedly falls for a freshman because of his Danny Zuko audition in their high school’s production of Grease in this outrageously funny novel set in 1991. The stunning conclusion to the Given to the Sea duology, a heart-stopping read from New York Times bestselling author Mindy McGinnis about a girl born to be sacrificed to the sea. Gudetama the Lazy Egg returns with a guidebook to living life to the almost fullest. Each page of this book is kind of packed with helpful lessons, inspiring quotes and mind-blowing advice that will have you laying around like an egg in no time! Boots on the Ground is an unflinching examination of the Vietnam War from all angles, told through the personal stories of eight people—soldiers, nurses, and refugees, spliced together with profiles of key leaders and events. The thrilling romance of young Alexander Hamilton and Eliza Schuyler continues in the sizzling sequel to the New York Times bestselling Alex & Eliza: A Love Story. Happily Ever After gets a serious makeover in this swoony, non-stop, thrill-ride of a conclusion to the hilarious and charming Trouble Is a Friend of Mine trilogy. Unforgivable betrayals, devious motives, and forbidden love collide in the first installment of this epic new fantasy series, perfect for Game of Thrones fans. Daisy has no desire to be in the spotlight, but anonymity isn’t really an option when your sister is marrying the Crown Prince of Scotland. Thankfully, the dashing young aristocrat Miles will be around to show her the royal ropes. 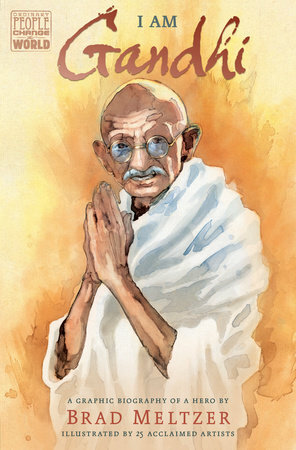 Twenty-five exceptional comic book creators join forces to share the heroic story of Gandhi in this inspiring graphic novel biography written by New York Times bestselling author Brad Meltzer. Romeo and Juliet meets One Hundred Years of Solitude in Emily Henry’s novel about the daughter and son of two long-feuding families who fall in love while trying to uncover the truth about the strange magic and harrowing curse that has plagued their bloodlines for generations. From the bestselling author of Mosqiotoland and Kids of Appetite, comes the story of sixteen-year-old Noah, who is hypnotized and quickly realizes nothing in his life is the same. Megan is the girl before–all of her exes find their one true love right after dating her. When she is cast in her school’s production of Romeo and Juliet, she meets Owen Okita, a boy who has her considering the lead role in her own love story. Gabe and Elyse have never met. But they both have something to hide. Told in parallel narratives, this twisty, shocking story shows how one bad choice can lead to a spiral of unforeseen consequences that not everyone will survive. The highly anticipated sequel to New York Times bestselling Flame in the Mist, an addictive, sumptuous finale that will leave readers breathless. The Lovely Bones meets Thirteen Reasons Why in this gorgeous, haunting, and tragic novel that examines the crippling–and far-reaching–effects of one person’s trauma. The final installment in Richelle Mead’s enthralling Glittering Court series answers the trilogy’s biggest question: what is the secret that drives Tamsin to win at all costs? Inspired by Napolean’s step-daughter’s real-life autobiography with charming glimpses of life long ago, this is the story of a girl chosen by fate to play a role she didn’t choose. 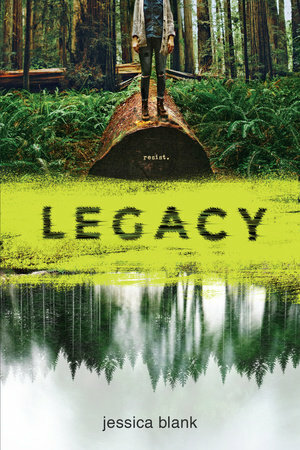 Coming July 10th, Legacy is a powerful coming-of-age story about a seventeen-year-old girl who joins a radical environmental movement in the Pacific Northwest. In this stunning literary work, Jessica Blank uses the anti-establishment and radical mood of the 1990s to show a girl grappling to find the strength and courage to do what’s right for the world . . . and for herself. Cheryl Strayed’s Wild meets The Revenant in this heart-pounding story of survival and revenge in the unforgiving Canadian wilderness. Our protagonist, Jess, must survive. She has to. She knows who killed her father…and she wants revenge. Out July 24th! When rich kid Cameron meets Nate one night at a club, it’s an instant connection, until Nate suddenly disappears. With only a blurry photo of some Chuck Taylors and Cameron’s socialite sister’s rabid fans to help, can Cameron find Nate? A modern day Cinderella story you’ll fall in love with! 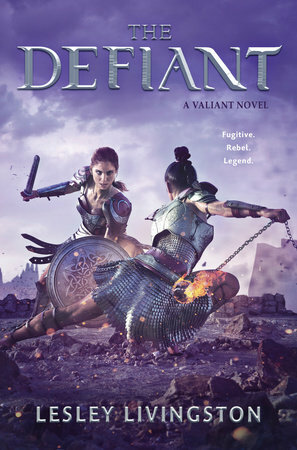 This MUST HAVE pick of the summer is the first in a heart-stopping trilogy that recalls the undeniable feminine power of Wonder Woman and the powder-keg action of Mad Max: Fury Road. Seafire follows the captain of an all-female ship intent on taking down a vicious warlord’s powerful fleet. When Vera’s twin sister, Ava, disappeared one Halloween night it was the crack in the Rivers family glacier. A decade later, all that changes when a girl shows up at the local hospital. Her name is Ava Rivers and she wants to go home. A walk-the-walk, talk-the-talk, hands-on, say-it-loud handbook for activist teens who want to change the world! Don’t miss the thrilling follow up to the New York Times bestselling Warcross, and follow Emika Chen as she races to save the world from the man she loves. Miss Peregrine and the Peculiars are back, this time on a wild adventure in America in a new trilogy starring all your favorite characters. Glimmer of Hope tells the story of how a group of teenagers raced to channel their rage and sorrow into action, and went on to create one of the largest youth-led movements in global history. 100% of the authors’ proceeds will benefit the March for Our Lives Foundation and the ongoing fight for gun violence prevention in the United States. The conclusion to this sweeping duology is coming, and it’s the perfect read to follow up bingeing Children of Blood and Bone or the Binti series. The only bad thing about John Green’s books is that there are too many to carry around! But not any more with Penguin Minis editions of Looking for Alaska, An Abundance of Katherines, Paper Towns, and The Fault in Our Stars. Set in renaissance Italy, this steamy LGBT fantasy romance will sweep you off your feet as one young Strega learns to embrace her identity and awaken her true powers. Fans of Stealing Snow, Red Queen, and The Wrath and the Dawn will fall head over heels for the stunning fairy tale retelling and conclusion to Julie C. Dao’s Forest of a Thousand Lanterns duology. Get ready to bite your nails and/or fall off the edge of your seat. This action-packed novel will keep you on pins and needles as Cassie searches for her missing brother…all while trying to survive Them. A nail-biting adventure from start to finish with a side of romance and a whole lot of secrets. What are you waiting for? Get ready for the final magical installment in Traci Chee’s Sea of Ink and Gold trilogy! Hang onto the edge of your seat. Lady Helen’s demon-hunting adventures come to a shocking finish in the final installment of The Dark Days trilogy! A sci-fi story with that contemporary fiction flair we all need in our lives. In a race against time (literally), Alex is forced to reevaluate who he can love, who he can trust, and who he needs to leave behind. Everything changed for 15-year-old Lina one night in 1941, when Soviet officers forced her family apart into Siberian work camps. A tale of survival, strength, and love that will make you want to hug the person next to you. Paperbacks you don’t want to miss out on! 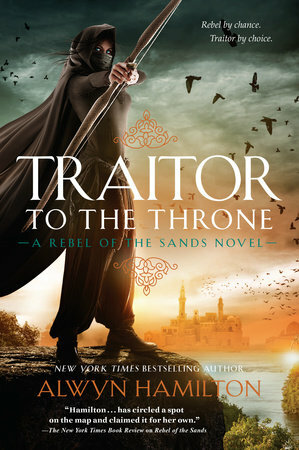 The sizzling, un-put-downable sequel to the New York Times bestselling Rebel of the Sands, in which Amani finds herself thrust into the epicenter of the regime—the Sultan’s palace— and she’s determined to bring the tyrant down. But the longer she remains, the more she questions whether the Sultan is really the villain she’s been told he is, and who’s the real traitor. Now in paperback! Chris Crowe investigates the before-and-aftermath of Emmett Till’s murder, as well as the dramatic trial and speedy acquittal of his white murderers, situating both in the context of the nascent Civil Rights Movement. 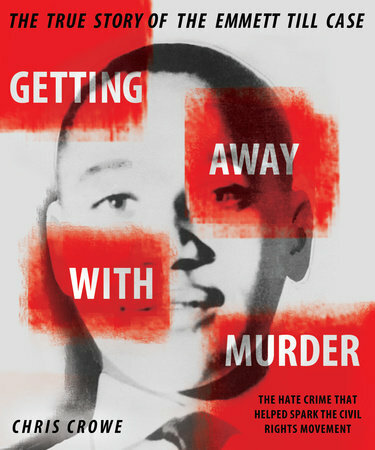 Newly reissued with a new chapter of additional material–including recently uncovered details about Till’s accuser’s testimony–this book grants eye-opening insight to the legacy of Emmett Till. Now in paperback! 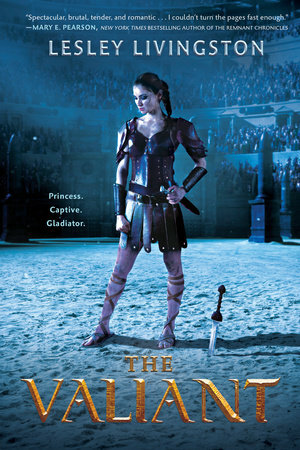 Fallon, the daughter of a Celtic king, is captured and sold to an elite training school for female gladiators. In order to survive, Fallon must overcome vicious rivalries, deadly fights in and out of the arena, and face her irresistible feelings for Cai, a young Roman soldier and her sworn enemy. Now in paperback! An instant New York Times bestseller, Nemesis is a riveting thriller about a girl who is murdered every two years on her birthday and the conspiracy she’s about to uncover. Now in paperback! A taut, dark thriller from the author of Althea & Oliver about two friends, and what happens when one goes missing. Now in paperback! I’ll Give You the Sun meets True Detective in this brilliant YA debut about saints, sisters, and learning to let go. Told in alternating perspectives, A Psalm for Lost Girls is at once funny, creepy and soulful. Now in paperback! BuzzFeed senior writer Erin Chack hits you in the guts, the feels, and the funny bone all at once with this collection of personal essays that’s perfect for fans of Jenny Lawson and Amy Poehler. Now in paperback! Sequel to New York Times bestselling author Alison Goodman’s acclaimed The Dark Days Club—a smashing combination of Buffy and Jane Austen! Now available in paperback! A gay coming-of-age romantic comedy–perfect for fans of Love, Simon! Now in paperback! A breathtaking page-turner about a girl with no short-term memory and her remarkable journey, against all odds, to find the one boy able to penetrate her fractured mind. Now in paperback! 13 Little Blue Envelopes meets Gilmore Girls in this fun, funny, and bittersweet summer adventure from Observer writer and the hilarious voice behind @GuyInYourMFA, Dana Schwartz. Now in paperback! From the #1 New York Times bestselling author of The Wrath and the Dawn, comes a sweeping, action-packed YA adventure set against the backdrop of Feudal Japan. Now in paperback! Hailed as the queen of Young Adult literature, Sarah Dessen delivers a richly satisfying romance with an ending that is so much more than happily-ever-after. Now in paperback! A twisting tale of loyalty, betrayal, and hope—for fans of Pretty Little Liars, Gone Girl, and One of Us is Lying. Now available in paperback! The sequel to the critically-acclaimed New York Times bestselling fantasy The Reader. Now in paperback! From #1 New York Times bestselling author Marie Lu—when a game called Warcross takes the world by storm, one girl hacks her way into its dangerous depths. Now in paperback! 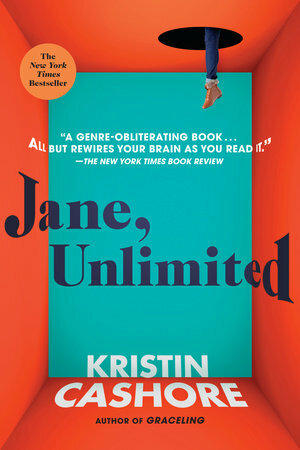 This kaleidoscopic novel about grief, adventure, storytelling, and finding yourself in a world of seemingly infinite choices is a must-read from the the bestselling author of the Graceling series, Kristin Cashore. Now available in paperback! From the acclaimed author of The Accident Season is a gorgeous, twisty story about things gone missing, things returned from the past, and a group of teenagers, connected in ways they could never have imagined. Now available in paperback! Code Name Verity meets I Am the Messenger in this riveting YA novel from Morris Award finalist Stephanie Oakes, in which three points of view are woven together in a story that’s part Cold War mystery, part contemporary coming-of-age, and completely unputdownable. Now available in paperback! New York Times bestselling author Romina Russell’s epic sci-fi fantasy series ZODIAC reaches its breathtaking conclusion with THIRTEEN RISING. Now available in paperback! Embark on a wondrous journey through the land of Whichwood in this stunning companion to Tahereh Mafi’s acclaimed bestseller Furthermore! Now available in paperback! The finale of the epic Falling Kingdoms series by Morgan Rhodes is here! Magnus and Cleo‘s love will be put to the ultimate test–is it strong enough to withstand the outside forces tearing them apart? Now available in paperback! Join Sunny and her fellows in the Leopard Society as they face their destiny in the conclusion to the epic African-set duology. Now available in paperback! Set in a near-future world, this novel is a surprising, romantic, and thought-provoking story of love, duty, and the small moments that can change people and the world. Now available in paperback! The Halloween season may be done, but the scares are far from over. The first two books in Danielle Vega’s chilling Merciless series are now available in paperback! Ready for 2019? Checkout our 2019 preview of breaking news titles!